Youth involved in domestic violence incidents now have an alternative to detention that offers them a chance to cool off before engaging in counseling services with their families: The Family Intervention and Restorative Services (FIRS) Center. Sergio Vera, 17, celebrates the opening of the FIRS Center with his family. He believes it will improve support and access to services for many youth like himself. Unlocked FIRS dorm rooms are outfitted with patterned quilts, pillows and rugs. 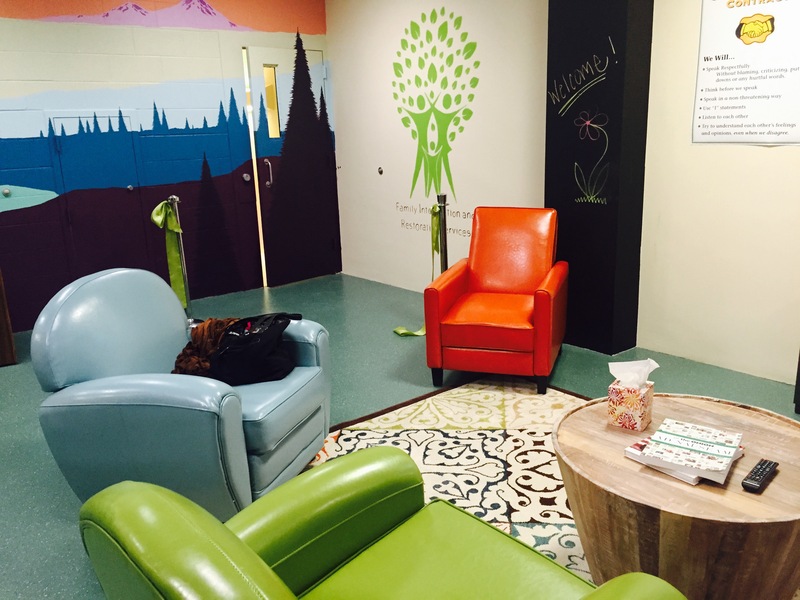 Youth and juvenile justice reform advocates celebrated the opening of a new alternative to detention this month with the opening of the Family Intervention and Restorative Services (FIRS) Center. Instead of requiring youth to be charged with a crime and potentially stay in juvenile detention to receive supportive services, youth involved in domestic violence incidents will have the option to stay at the overnight FIRS Center and agree to heal issues at home through mentoring and counseling services such as the successful Step-Up Program. The main room of the FIRS Center includes games, TV, books, food and a bright interior design. A Seattle and forest-themed mural — which court-involved youth painted through paid Urban ArtWorks internships — welcomes visitors while cushy furniture, books, a TV and board games add to its home living room atmosphere. Brightly patterned quilts, pillows and rugs outfit each unlocked dorm. 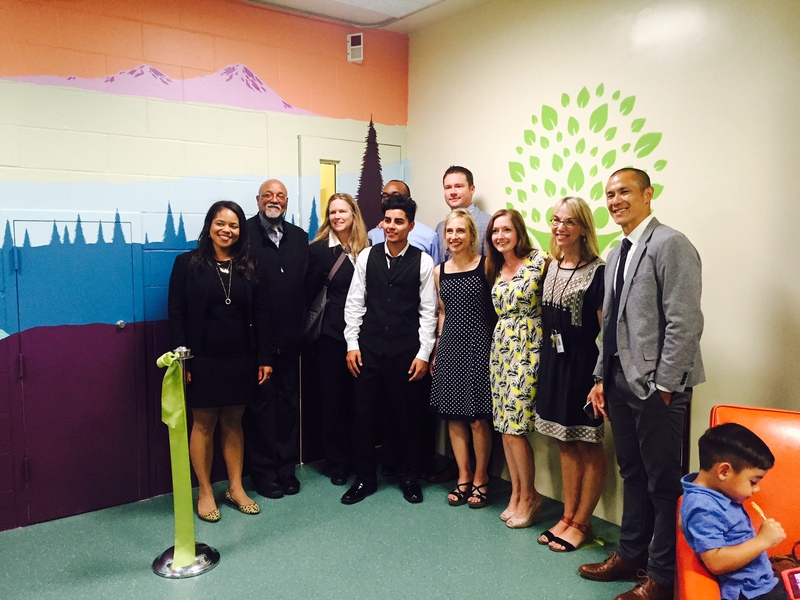 King County separated and converted an unused portion of juvenile detention to create the space at the Youth Services Center. The center was made possible through the coordination of the King County Prosecuting Attorney’s Office (PAO), Superior Court, Department of Public Defense, the Department of Judicial Administration’s Step-Up Program and the City of Seattle. Members of King County Juvenile Court, the Prosecuting Attorney’s Office and the Department of Judicial Administration celebrate the opening of the new FIRS Center. Before the FIRS program launched this year, the PAO’s options for helping families cope with domestic violence were too limited. About a third of juvenile detention bookings in recent years have involved youth committing violence against a family member. In addition to a stay in juvenile detention, youths had to be charged with a crime before the PAO could legally connect families to resources they needed sooner than later. Many parents would ultimately decline connections to counseling, mental health and substance-abuse resources because they didn’t want their children to stay in detention or have a criminal record. Now, through FIRS, youth involved in domestic violence cases no longer have to be charged with a crime to be connected to supportive services. A soft-launch of FIRS before the center opened helped Sergio Vera, 17, whose family struggled to help him through a difficult time. FIRS quickly connected him and his mother to the Step Up program, a family counseling service that includes conflict resolution classes. When Sergio and his family celebrated the opening of the new respite center on June 30, he thanked both the FIRS and Step-Up programs.